Kennebunk Beach perfect for your Maine Coast holiday! 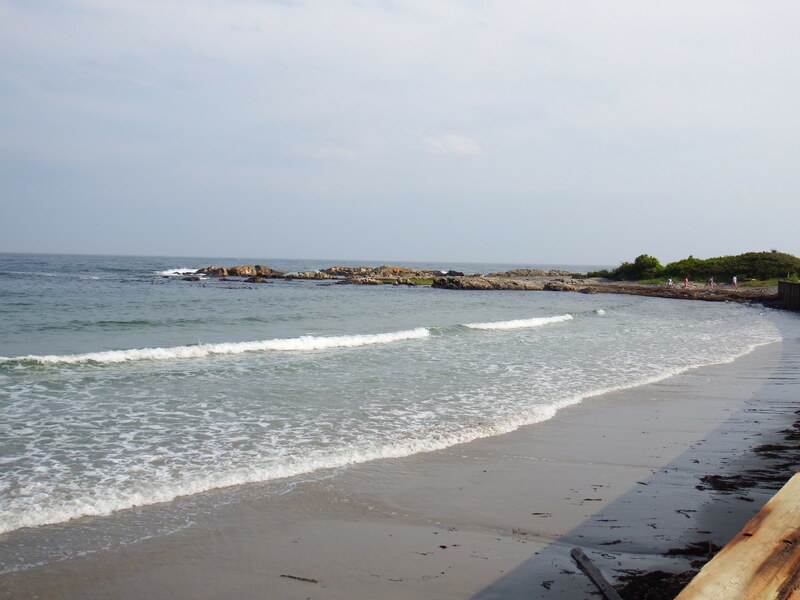 Beach season is here and the Kennebunk beach is ready! In actual fact, there’s three beaches; Gooch, Middle and Mother’s. There is a sidewalk that connects the three and you can walk from one end to the other in twenty minutes at a brisk pace. If you are there to walk and relax, there are benches strategically placed to give views of the vast sea and shoreline. Gooch’s Beach is most popular with sunbathers. The sand is soft and, during low tide, there’s a lot of wide sandy beach to enjoy. People who come to the beach early in the morning may spot Barbara Bush walking Mini and Bibi, her Malti-Poo dogs. We’ve even spotted seals on the beach during our early morning walks. This beach is hugely popular with dogs and their walkers. There’s been a book published by local photographer Bob Dennis called “Gooch’s Pooches” which is available in town at many of the shops. Our black Labrador Toby didn’t get into the book (how did that happen Bob? ), but a lot of his doggy friends are in there. During the summer months, dogs are only allowed on the beach before 9am and after 5pm. Even if Middle Beach is basically rocky in comparison to Gooch’s and Mother’s Beach, those small black pebbles at Middle Beach bring to mind an outdoor meditation fountain when the waves wash over them; a perfect place to rest in a beach chair enjoying the sunshine. Mother’s Beach got her name in the 1980s when its cove-like shape, soft sandy beach, and calm waters became a hit for mothers (and father’s) who wanted to bring their young children for a safe day filled with fun things to do. They could build sandcastles, swim, and explore tidal pools to see what lives there such as snails, crabs, or sea urchins. And when the children are tired of the beach there is a playground to swing, slide, climb and hang from. The young ones won’t be bored at Mother’s Beach, nor will the parents. Lifeguards are at both Gooch’s and Mother’s as are portable toilets. The Kennebunk fireworks are set off over the ocean on July 4th. Some people like to watch the display from the beach. For those who prefer to avoid the crush, there are several places along Ocean Avenue that are ideal for firework watching. Think Stripers, Ocean and Mabel’s restaurants! The Kennebunk beaches have on street parking; however, after June 15th beach passes will be needed to park cars. A non-resident beach pass is $20 for the day, $75 for the week, and $150 for the season. These can be purchased at the Town Hall or the Chamber of Commerce Visitor Centers. There are also machines along the road on the beach where you can purchase a ticket. At the 1802 House, we have day passes that we are happy to loan to our guests as well as chairs and towels. 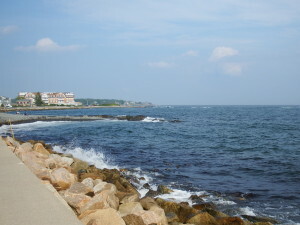 Come to Kennebunkport and be sure to enjoy the beaches while you are here!